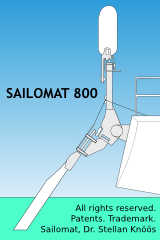 SAILOMAT 800. Click for higher resolution image. 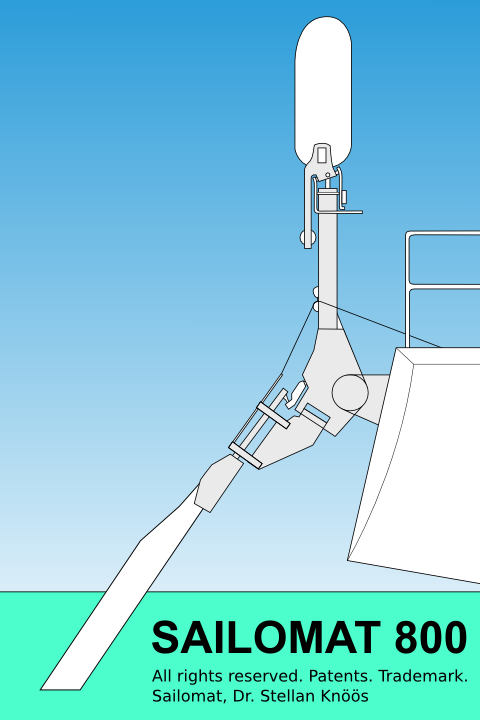 Custom-sized mechanical self-steering for cruising sailboats 24-50 feet LOA. 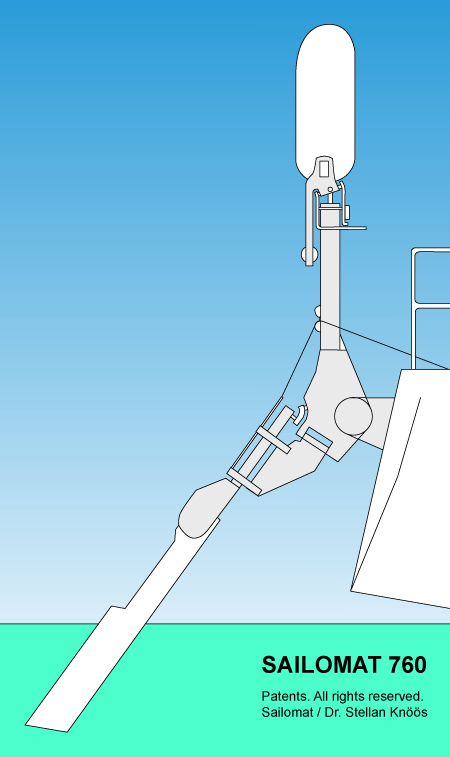 Principle:	 Servo-pendulum, with pull/pull line circuit connecting to yacht's wheel or tiller. Design:	 State-of-the-art, new design principle. Winglet-geometry for line circuit connection. Compact footprint: 200 mm width, 240 mm height. Servo blade:	 Aluminum wing profile. Swing ability:	 148 deg to side, out of water. The basic SAILOMAT 700 system has been further developed and upgraded to a new version SAILOMAT 760. First deliveries of model 760 were made spring 2008. Overall, the new SAILOMAT 760 design and features are quite similar to SAILOMAT 700, with the difference being some mechanical design upgrades. Overall specifications for SAILOMAT model 760 similar to model 700. All rights reserved. Patents. Trademark.